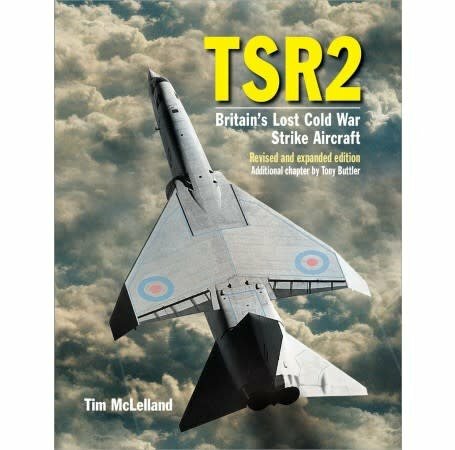 This revised and expanded second edition examines the fascinating story behind the TSR2, Britain's "lost" Cold War strike aircraft. This new book traces the TSR2 project from early development and prototype testing to its final cancellation in 1965. Illustrated throughout, the book also includes extracts from the TSR2 Crew Manual, as well as recently declassified technical information. This is a welcome revised and enhanced second edition of this comprehensive, accurate and honest account of the TSR2 strike aircraft's fascinating story, tracing the project's development from its Cold War origins in the 1950's to its final cancellation in 1965. Aimed at aviation historians and those interested in the history of military technology, the book examines the RAF's TSR2 project in detail, eliminating the many myths and misconceptions that have surrounded this aircraft for decades. Although much has been written about the TSR2's history, a great deal of misinformation has been published on this subject which this book dismisses presenting the reader with a complete and realistic overview of the entire project. This book deals with the facts and not the emotion, speculation and fantasy which has plagued the subject for so long. It presents a detailed, factual and very readable account of the development and subsequent demise of TSR2 project.